Spring is the season following winter and for most people it is welcomed after dealing with the months of cold weather and snow. The Spring Equinox came this year on Sunday, March 20th and even though it was a bit chilly here in the South, this season also brings up for me, ideas of rebirth, rejuvenation, and renewal. Our trees are flowering–Red Bud and Dogwood are my favorites, but also the Forsythia and Daffodils speckle the landscape with golden yellows that warm my heart. My project today is a Robin’s nest encircled with the flowers of the season–some of my favorites. With the help of Joset Designs smallest Easter Egg die, I created Robin’s eggs in the nest…a sure sign of Spring for me. My daffodils have been poking up for some time now and it won’t be much longer before my garden is in color again. I love looking forward to this time, just as I did when I was growing up. The field in front of my grandparent’s home was filled with these naturalized blooms that we picked. There are so many varieties with contrasting single or double coronas , but the large yellow Daffodils are still my favorite. I love Spring! New life, new beginnings, and especially for those who experience long, cold winters, a welcome sign that warm weather is on its way. I’m seeing signs here in my yard; Robins, daffodils popping up, and even some flowering trees in bloom. Yep, there are always sure to be more springs! Today’s project is somewhat whimsical with Violets (Pansies) in an egg, but, for me, it’s also memorable. One Easter, my Dad gave my mother a “sugared egg” with a lovely bouquet inside and I couldn’t resist replicating this starting with Joset Designs Easter Egg done in Silk Microfine Glitter (not sugar:-D) and my Garden Notes Pansy. I encompassed the egg with my Round Grapevine Wreath, Leafy Branches, White Lilacs, and some colorful branches, covered with Plum Crazy Prills. The bouquet is set on Graphic 45’s “Children’s Hour” collection and ECD’s Soft Finish Duo Cardstock in Dusky Lavender and could easily stay as a card or the recipient could frame it in a shadow box for a true keepsake. On February 5th, our granddaughter Emersyn (Emmie for short) will turn four years old. 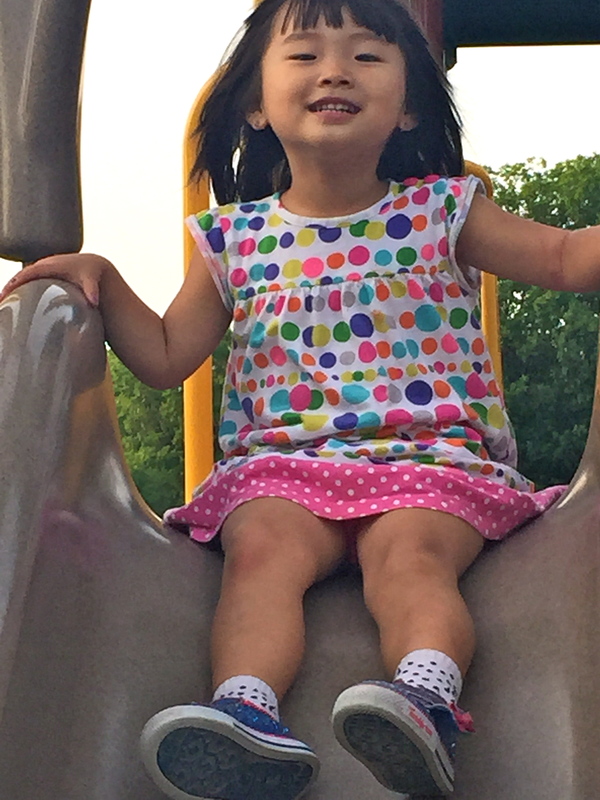 She joined our family in April 2013 and we have been the luckiest family to have this sweet, sassy, funny, and full of joy child in our lives. Last Halloween, she was “Ariel” from The Little Mermaid and said to me, “Mimi, I want to be a mermaid when I grow up!” Well, who doesn’t? Was it by coincidence–I think not–that Graphic 45 came out with a collection called Voyage Beneath the Sea at CHA in January for the project today. Instead of a card, this music box, which plays “Twinkle, Twinkle Little Star,” will certainly surprise my little mermaid in the making! A Tussie-Mussie, or nosegay as it’s commonly known, became popular during the reign of Queen Victoria (1837-1901). These small bouquets were a popular fashion accessory, as well as, a symbolism from the language of flowers; a way to send a message to the recipient. I chose Red Roses (for Love), Pansies (for Think of Me) and Baby’s Breath (for Everlasting Love) to display in my “posy holder” created with Els van de Burgt Studio’s Fitted Frames 5/Lace Circles. As a final touch, I added Suzanne Cannon’s Calligraphic Elements/Heart for a “ribbon” on the holder. I’m invigorated with new ideas after CHA and thought I’d start it off with a beautiful card to inspire you as well. Valentine’s Day is less than a month away and this would be a perfect project to convey your feelings to that special someone, but it would also be a loving gesture for a birthday, wedding or anniversary card. In addition to new dies with Elizabeth Craft Designs, they have launched two new lines of paper. The wonderful Soft Finish in a 100 lb. weight is a duo paper with white on the inside for us professional card makers and Premium Palette, an 85 lb. weight in colors that will melt your heart (it did mine!) I know it will be a few more weeks before it’s available to the public, but I couldn’t help myself by sharing this exciting news and showing you how perfectly perfect it is. The Premium Palette comes in both 12-inch x 12-inch or 8 1/2-inch x 11-inch. On Thursday, I leave for CHA (Craft & Hobby Association) annual trade show in Anaheim, California. 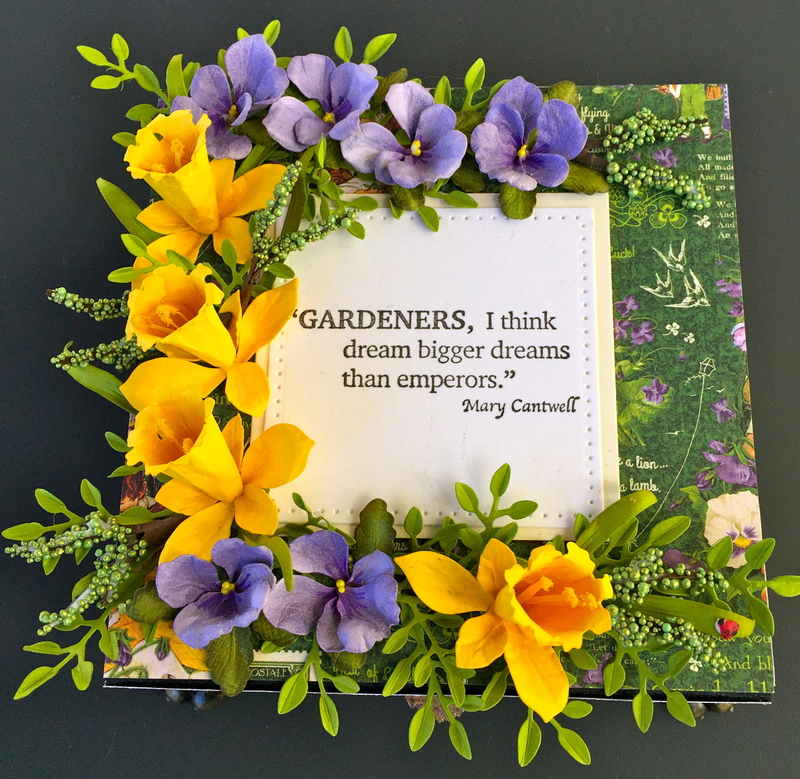 I have five new Garden Notes (including this Daffodil #1139), seven new CountryScapes, including a new category I’ve called Garden Edges and three new stamps from Seeds of Thought. If you follow Susan’s Garden Club on FaceBook, you’ve seen some of the new dies. I thought since it’s so chilly here (we’ve gone from 75-degrees at Christmas to 37-degrees today! ), I’d give you something to look forward to–Spring. When I get back, I promise you new projects with these flowers, as well as, combining them with some of my others to create beautiful bouquets. Stay Warm, y’all! Hanukkah begins on Sunday, December 6th, at sundown and is observed by the kindling of lights. The nine branch menorah has eight lights to represent the 8 days and one additional light, called a shamash (in the center) which will light the other candles. Other festivities included playing dreidel and making latkes, which is a favorite with my family…especially with homemade apple sauce! This card, using Els Van de Burgt Studio Candles (#732) sets on top of my Garden Notes Poinsettia (#1090) with White Pine Boughs (#1091). Both are done in my technique to hand color with Copic Markers and/or shade with PanPastels Set 2/Bright Yellow Green Shade, then emboss using VersaMark and Ranger’s Super Fine Detail embossing powder in clear. The term ombre is used to describe the gradual blending of one color hue to another. 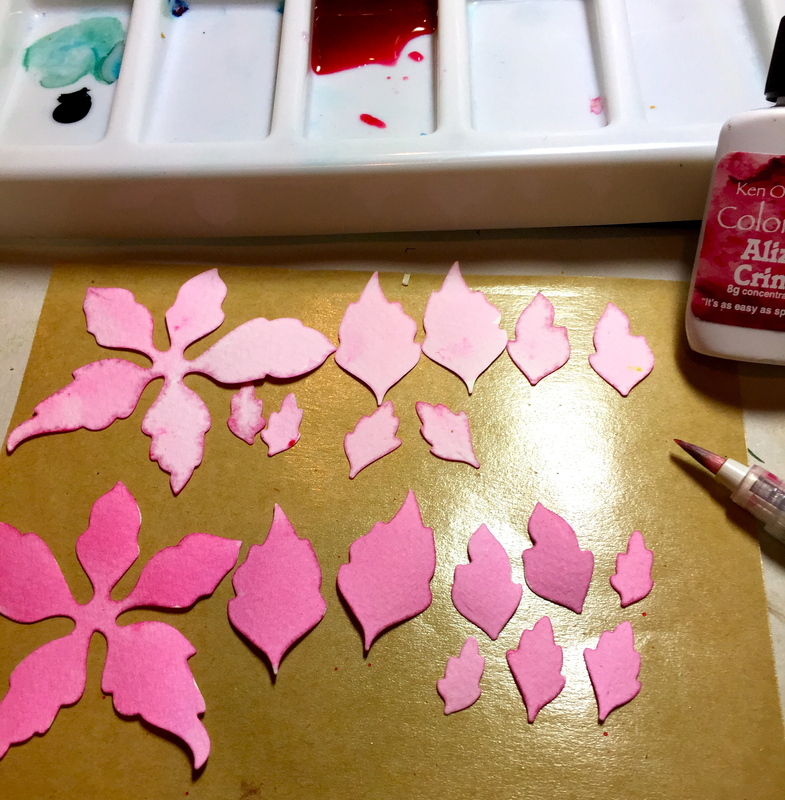 For this card I chose shades of pinks, which I created using Ken Oliver Crafts’ Color Burst “Alizarin Crimson.” I began by die cutting my Garden Notes – Poinsettia (#1090) on Elizabeth Craft Designs Watercolor Paper and then started painting, deepening the hue of the color with each new flower. The ombre technique has been used a long time in fabric printing, hair and nail coloring, and most recently in baking. 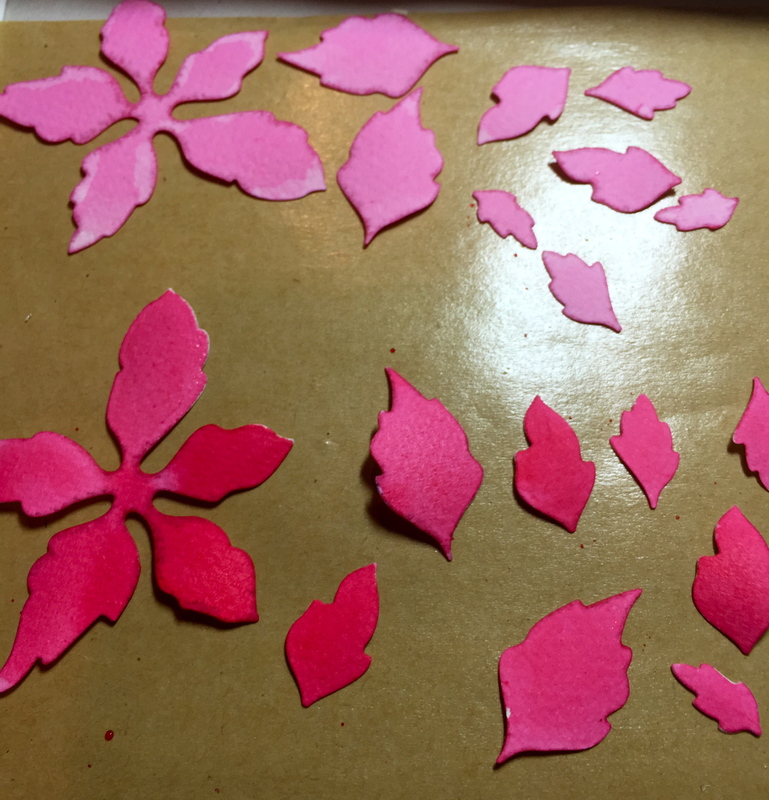 I’ve made ombre cakes for special occasions, so it was only natural to try this technique with my paper flowers. When Kelly was diagnosed with breast cancer, Spa Day became even more special. Her skin was showing the reactions to the powerful chemo drugs; both her sister and I longed to make her feel good about her appearance. After she passed, I learned of other friends diagnosed with this horrible diagnosis. In order to uphold my daughters’ and my tradition, I came up with “Spa in a Jar” to send them. I also sent the jars to my older daughter, sister, and a close friend; I wanted them to know I was thinking of them. Keeping with my gift giving theme this month (and knowing how stressful the holidays are), I’d like to send this ‘Spa Jar’ to you. It’s filled with hand and foot creams, facial masks, therapy soak, etc. – a Spa in a Jar! 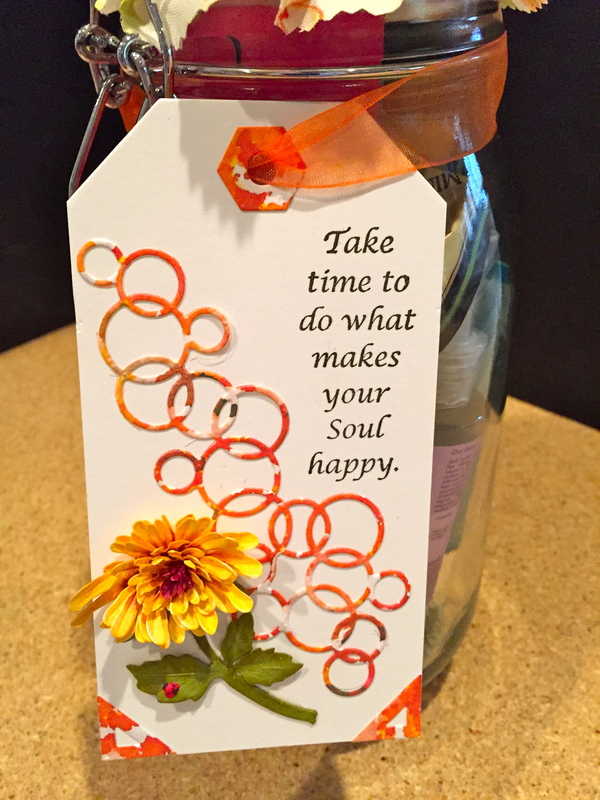 I added a special tag, adorned with a Chrysanthemum and stamped with my ‘Seeds of Thought’ stamps. Both the Chrysanthemum die (1087) and stamp (RS008) will be included with this week’s giveaway. Simply follow the entry instructions below and you could be the winner! Like my Facebook Page: Click here to go to my Facebook page, then ‘like’ the page. Share the Facebook post about this week’s giveaway: Click here to go to the post, and then share the post.